When it comes to replacement windows, New Haven County residents can easily find what they need at All-Pro Windows. We have installed high-quality windows in homes in New Haven, Meriden, Waterbury, Hamden, and beyond since 1972, so we have the experience needed to replace your windows quickly and properly. 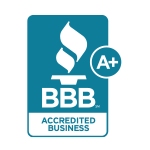 Plus, we have an A+ rating from the Better Business Bureau that reflects the care with which we treat all of our customers. In addition to all of these useful benefits, you’ll also have the chance to enjoy the aesthetic appeal of our replacement windows, which can enhance the appearance of your home. We have a wide range of window styles available, with everything from simple single-hung windows to large bay windows and even oriel windows, which many installers do not provide. For a more traditional look, you can even choose to add one of our grille pieces between the glass panes for a classic appearance and a modern, easy-to-clean surface. 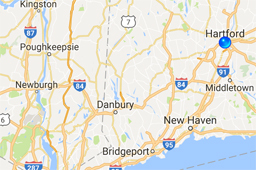 If you live in Hamden, Waterbury, Meriden, or anywhere else in New Haven County and need replacement windows, contact All-Pro Windows today. We’ll happily answer any questions about our vinyl windows, and we’ll even tell you about our entry door options. Great value!!! Excellent product!!! 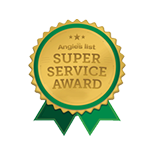 The installers were very professional and did a wonderful job, very efficient. I would definitely recommend All-pro windows, they have a outstanding product and back it with a lifetime warranty. The salesman, Greg, was knowledgeable and easy to work with and Jim the owner was professional and thorough. Overall I am more than happy with the window replacements in my old farm home. The team did an amazing job carefully taking out and replacing the original windows and I am so impressed with the work. Besides how beautiful the actual windows are, the difference in temperature in the summer for us is the best benefit. The heat mirrored glass blocks that sun completely, don't even need blinds. From start to finish only took a week, and for custom made windows that was a pleasant surprise. I am so pleased with this company I am ready to purchase my next set of windows. Glad I didn't go with a big box store, and it's worth every penny. I highly recommend All Pro Windows. Great job! At least once a day one of us comments on how much we love the new slider and/or windows. The rep was personable and helpful without pressuring us. The installer was quick, neat and professional. Very satisfied +++.